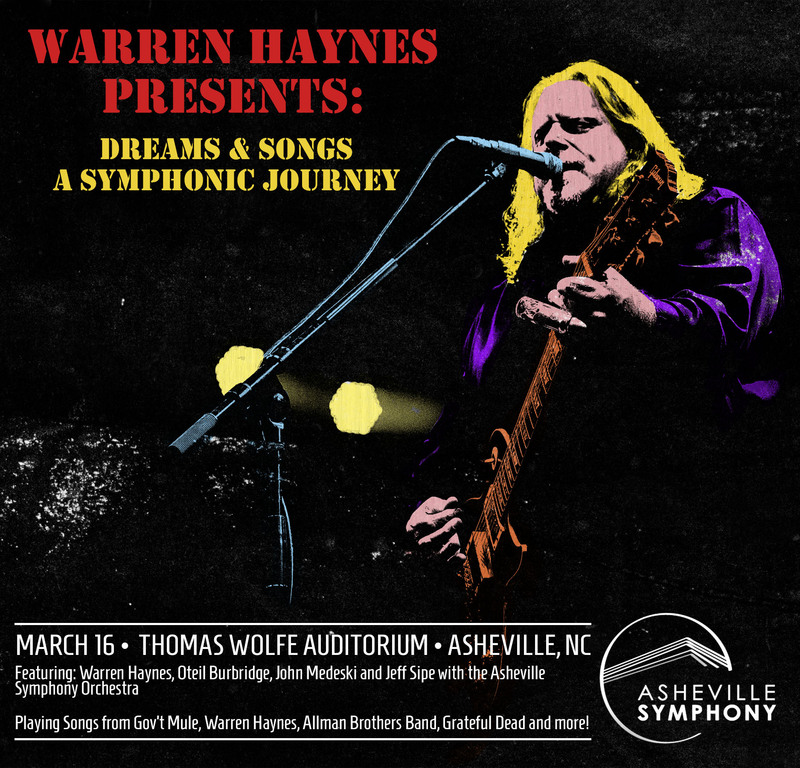 GRAMMY Award-winning vocalist, songwriter, producer and revered guitarist Warren Haynes has announced a one-night-only show entitled Warren Haynes Presents: Dreams & Songs – A Symphonic Journey, set for March 16th at 8pm at the Thomas Wolfe Auditorium in Haynes’ hometown of Asheville, NC. The show will kick off the Asheville Symphony's 2019 Asheville Amadeus festival, a 10-day multi-genre Mozart-inspired event fit for all tastes and ages. Pre-sale tickets will be available Wednesday January 30th at Noon ET at http://www.warrenhaynes.net/shows. Public on-sale begins Friday February 1st at 10am ET HERE. "This is a project I’ve been thinking about ever since I was given the opportunity to interpret and celebrate the music of Jerry Garcia with a symphony a few years ago. When I was recently asked to perform at the Amadeus Festival it seemed like a great opportunity to start diving into my own repertoire and continue my symphonic journey. I am so lucky to be able to begin this with three of my favorite musicians in the world; Oteil, John and Jeff,” says Haynes.